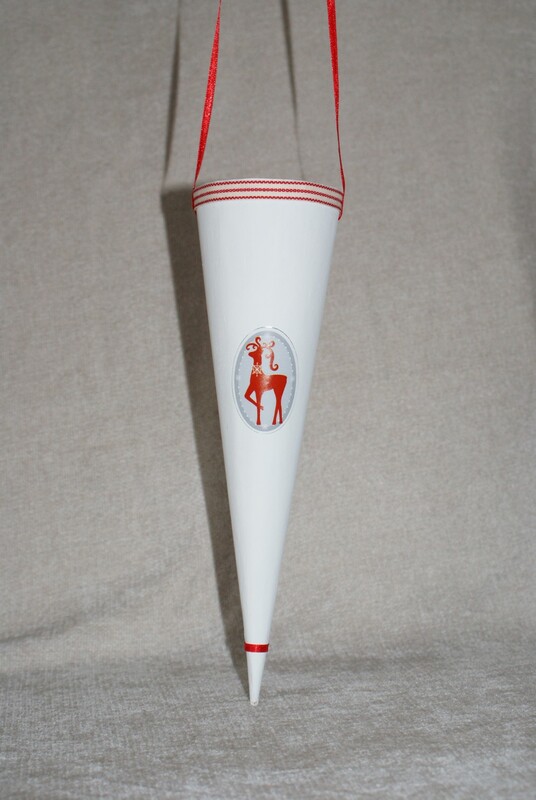 Home / STORE / Cones / Reindeer Cone. 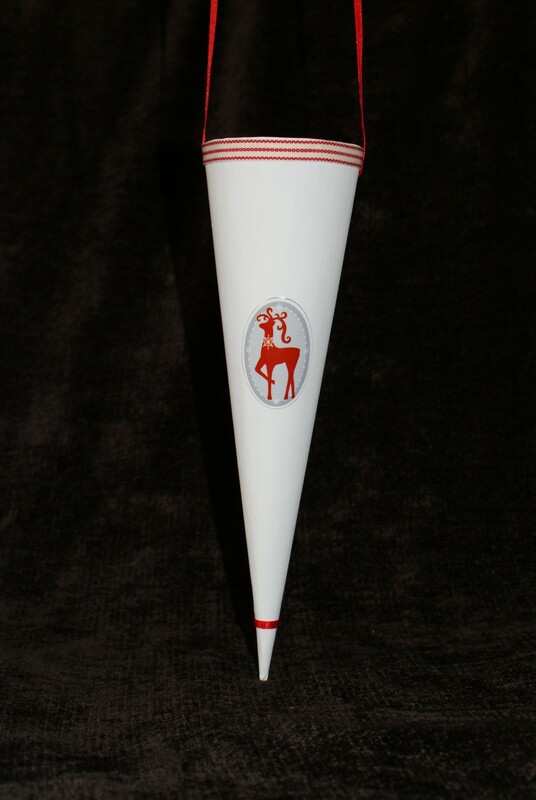 These pulp board cones are painted white, with a red satin ribbon handle which also decorates the point of the cone, while a red and white stripped ribbon decorates the rim of the cone. On either side of the cone is a red reindeer sticker. 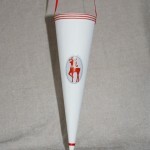 The cone can be hung from the handle, inside the cone can be decorated using tissue paper and can hold small gifts. Approx 24cm x 7cm diameter.